Our weekly explainer on economics using lessons from popular culture. 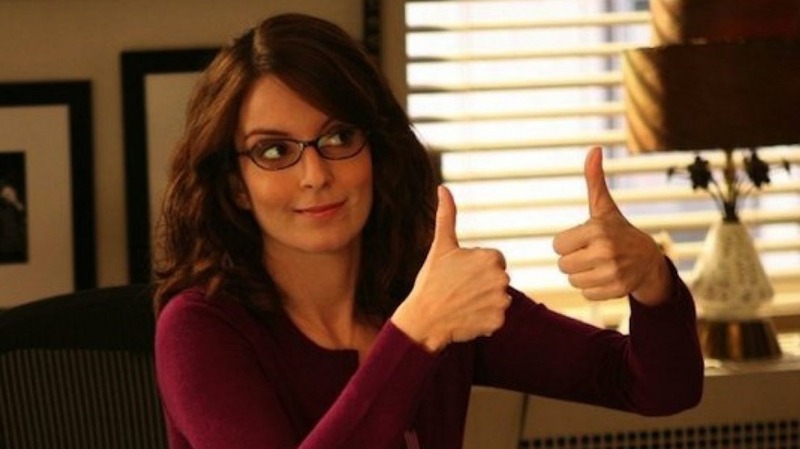 In Installment 56, Liz in 30 Rock demonstrates the Egocentric Bias. In an episode of 30 Rock, Jenna, an actress, asks her longtime friend Liz about her views on her new movie. She catches Liz in a white lie and tells her how she’s always done this through the years. Liz, however, remembers the instances a bit differently. According to her version of the same events, she was always supportive and never let her friend feel like she’s done a bad job. It might not come as a surprise when we realize amid conversations with friends or family that we sometimes have differing accounts of shared historical events, mostly in a way that presents a better image of ourselves. We are also often guilty of presenting events to other people in a way that highlights our qualities, while downplaying mistakes or flaws. On a group project, while it’s reasonable that every member contributes at different levels, we tend to think that our contribution has been the most, or at least the most important. At discussions on myriad topics over the lunch table, our input often has sprinkles of “But I have never seen this..”, “It’s true, it happened to me too!” and the like. These are all due to the Egocentric Bias. 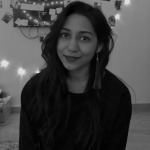 It is generally attributed to the fact that since we know so much more about ourselves (correctly or not is anybody’s guess) than others, we tend to give a disproportionate weightage to our views, knowledge and experiences over those of others. In some extreme cases of delusional manifestations of this bias, it sees a lot of overlap with the Dunning-Kruger effect. Many of our purchase decisions are guided by this bias. We regularly buy things that we think a person like us would buy because we have a certain self-image of ourselves, and want to curate things in our lives around this image. This can be topically seen best in eco-conscious consumption. People who go on unconventional and trendy diets (Keto, Paleo, Baby Food?) are rarely found not bragging about this fact or worse, trying to convince others to join the fray. They do so not solely because they care for the people around them and want them to become healthier as well, but because they believe that theirs is the best way to live and others must hear of it, if not convert. People who only purchase clothes and accessories that are organic, cruelty-free, ethical and the like also tend to announce the same at every opportunity possible. It’s not because they care about the environment but also because they see themselves as people who are environmentally conscientious and want others to see them as the same. No wonder they never shut up about the no-wastage, no-harm nature of their clothes while causing harm to the people and relationships in their lives. A lot of purchases, especially that of non-essential items, can be viewed similarly. These goods are consumed not on the basis of what we need but what we aspire towards because we want to own things that signal what we think of ourselves, rather than what we actually are (something that we aren’t even aware of unless a lot of meditation or psychedelic drugs are done). This explains the fondness for goods that have monograms or labels or designing that showcases what brand one is wearing. 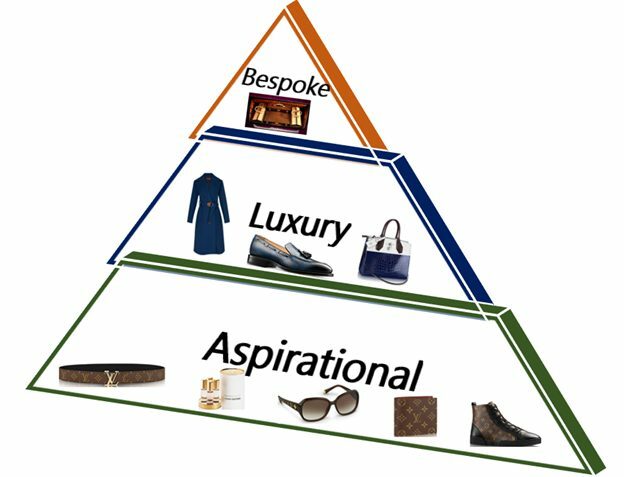 Most luxury brands follow a strategy called The Pyramid Model. At the top of the pyramid, there is the griffe – the creator’s signature engraved on unique work (think of handmade Louis Vuitton bags). The second level is that of goods produced in small series within a workshop (LV shoes, belts). The third level is that of streamlined mass production: here we find lower priced items like wallets, keychains, sunglasses and the like, which are affordable enough to be bought as an aspirational purchase, and also have heavy logo visibility. At every level, a person aims above and chases higher-value goods because they see themselves there, and not at the level they’re stuck at. I am telling you this is true. It has happened to me too.